Rev. Kaji Douša is Senior Pastor at The Park Avenue Christian Church. Ramya Krishnan is Staff Attorney at The Knight First Amendment Institute at Columbia University. See more video from the Teach In on our Youtube channel. New York, NY: On Monday, October 29, 2018, at 10 a.m., the U.S. Court of Appeals for the Second Circuit will hear oral argument in Ragbir v. Homan, a First Amendment case challenging the government’s retaliation against immigrant activists for speaking out against immigration policies. The plaintiffs of Ragbir v. Homan seek, among other things, a court order restraining the government from deporting and otherwise targeting immigrant activists based on their protected political speech. The Government’s attempt to silence its critics is exemplified by its targeting of New York immigrant rights leader, Ravi Ragbir, who was surveilled, arrested, and flown to Florida for deportation, in defiance of the government’s own regulations, protocol and procedure. This targeting and retaliation of its critics is unconstitutional and has a chilling effect on all those who would speak out against the Government, both citizen and noncitizen alike. Stanton Jones of Arnold & Porter will deliver oral argument in the case. After oral argument, attendees and community members will gather outside of the courthouse for a press conference, featuring key figures in the lawsuit and in the community, including Mr. Ragbir, Mr. Jones and other members of Mr. Ragbir’s legal team, faith leaders, and The Hon. Tish James, Public Advocate for the City of New York. What: A court hearing and press conference about whether the government can retaliate against people who speak out against immigration policies by targeting and deporting them. Where: U.S. Court of Appeals for the Second Circuit, 40 Foley Square, Room 1703, New York, NY. A press conference will follow immediately after argument in Foley Square. 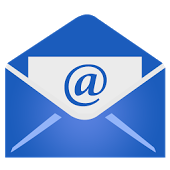 On Friday, October 5, 2018, Ravi and immigrants’ rights organizations (the “Appellants”) filed their reply brief in Ragbir et al., v. Homan et al. The brief—which outlines the outrageous and unlawful targeting of Mr. Ragbir and other immigrant rights’ activists in retaliation for their vocal opposition to our broken immigration system—was filed in anticipation of oral argument which is schedule for Monday, October 29, 2018 at 10:00am before the U.S. Court of Appeals for the Second Circuit. Community members are encouraged to attend. In addition, and preceding oral argument, the NYU School of Law Immigrant Rights Clinic and Mr. Ragbir’s Defense Committee, will be hosting a First Amendment Teach-In entitled, Whose Speech? Our Speech! Immigrant Rights and the First Amendment, in anticipation of oral argument on Thursday, October 25, 2018 from 6pm – 8pm. The teach-in will be held at Lafayette Avenue Presbyterian Church in Brooklyn, New York, a church founded as a temple of abolition in the 1850s, which served as a stop on the Underground Railroad. Details and speaker bios forthcoming. New York, NY — In response to the targeting of immigrant rights activists by the U.S. Department of Homeland Security Immigration and Customs Enforcement, numerous faith leaders, religious institutions, elected officials, civic organizations, and legal scholars have filed legal briefs with a federal appeals court in Ragbir v. Homan to condemn the government’s violation of the First Amendment. These amicus curiae (“friend of court”) briefs support plaintiffs Ravi Ragbir, the New Sanctuary Coalition, CASA, Detention Watch Network, the National Immigration Project of the National Lawyers Guild, and the New York Immigration Coalition. The lawsuit before the U.S. Court of Appeals for the Second Circuit seeks a preliminary and permanent injunction restraining the government from taking further action to effectuate a deportation order against Mr. Ragbir, the Executive Director of the New Sanctuary Coalition and an outspoken advocate for immigrants’ and human rights. There remains a case pending before the Federal District Court for the Southern District of New York, which also seeks a preliminary and permanent injunction restraining the government from selectively enforcing immigration laws against individuals based on protected political speech. The law firm Patterson Belknap Webb & Tyler LLP filed an amicus brief on behalf of over 60 faith leaders and 6 religious institutions and membership organizations; the firm of Covington & Burling LLP filed an amicus brief on behalf of 35 local, state and federal elected officials; and the law firm of Kirkland & Ellis filed on behalf of 25 organizations from across the United States dedicated to organizing communities struggling with burdens imposed by immigration laws and policies. Rutgers Law School International Human Rights Clinic filed an amicus brief on behalf of Emilio and Oscar Gutiérrez-Soto, political asylum seekers detained for nine months by ICE, and released only after a federal court in Texas found sufficient “temporal proximity” between amici’s political speech and ICE’s detention and attempted deportation of them. In addition, First Amendment scholars at the Institute for Constitutional Advocacy and Protection at Georgetown University Law Center, the Knight First Amendment Institute at Columbia University and the Roderick & Solange MacArthur Justice Center filed an amicus brief arguing that the use of deportation as a retaliatory tool against nonviolent activists, like Mr. Ragbir, is outrageous and the kind of conduct that the U.S. typically condemns. Oral argument in the case has been set in the Second Circuit, located at 40 Foley Square, for October 29, 2018. Plaintiffs encourage members of the community to attend. For more information and updates, please visit istandwithravi.org. Ravi had been scheduled to report to ICE on September 7th. His report date has been postponed until October 12th at 10:00 a.m. Please mark this date on your calendars. In the meantime, we are continuing to fight against ICE’s cruel and unjust practices. In the lawsuit challenging ICE’s retaliation against Ravi and other activists, Ravi and several immigrant rights organizations filed their opening brief to the Court of Appeals for the Second Circuit arguing why the federal court should restrain ICE from retaliatory enforcement against Ravi for engaging in political speech critical to American democracy. We anticipate that a hearing in this case will be scheduled in the near future, and will update you accordingly. While we continue our fight in the courts, we know that it is the power of community support that will keep Ravi here and shed light on the injustice of ICE’s efforts to detain and deport people in darkness. We urge you to stay vigilant, and will be in touch shortly with upcoming actions to support Ravi and others. 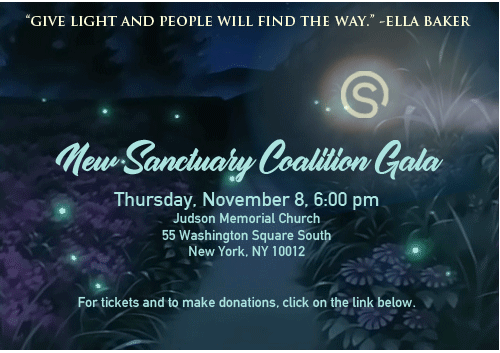 In the meantime, please also save the date for the New Sanctuary Gala, to be held on Thursday, November 8, 2018. Get your tickets here.